God is calling us to complete a unique mission here at OCCA. One of the 3 Keys to that Mission of why we exist as a church is “Building His Kingdom.” Therefore our goal should be for all of us to be Kingdom Builders. That building begins within each of us being transformed into the image of Christ so that we might change the world around us. 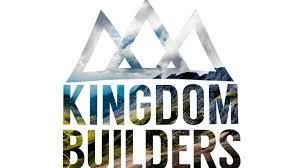 We are setting aside an hour at 9 AM on Sunday mornings to help us each become Kingdom Builders. This time together is not merely to get to know facts or even grow faith – it is ultimately about equipping us to go forth with the message of the kingdom of God to the ends of the earth. The groups being offered during Kingdom Builders are meant to help prepare all ages as well as all stages of spiritual development. Some of us still need some training, others need to be equipped in practical ways and still others just need to be set free to do it. That means we do not come to Kingdom Builders with a consumeristic attitude to get, but to give… and help build His kingdom within and with others in our groups, thereby being a part of something bigger than ourselves. Each quarter we will offer different opportunities for various groups that you can choose to be a part of. Let's move forward together in the task that God has given us to build his kingdom. background checks to ensure a safe place for our young people. primary trainer this quarter will be Heidi Black. quarter will be Denise Sorensen. YOUTH 6th – 12th Grade* will meet on the upper level in the Revolution Room #3. The primary trainer this quarter will be Stacy Hall. All Children and Youth Kingdom Builders groups will be using the D6 discipleship curriculum, which is focused on building the kingdom through church and home. It is based on the principles of Deuteronomy 6:5-9...love God, love His Word, and teach your children to do the same. Each quarter is divided into 3 monthly topics: one month studying Old Testament, one studying New Testament, and one studying a special topic such as: examining cultural issues, universal questions of life, and theological topics. The emphasis will not just be on learning but on living the word of God, as each week time will be spent on specifically applying the lesson to our lives and challenging one another to respond in a real way. Both children and youth will be in their own classes, but studying the same theme on their level—making it easy for Dad, Mom, or Grandparents to answer questions at home along with the help of these take home resources meant to reconnect the family to live out their Faith@Home. -Home Connection is a weekly take-home paper designed to help equip the home with a shared “on the same page” theme for all ages with a weekly Bible passage to read together along with suggestions to help you pray together as a family and activities to put your faith in action. Home Connection lets parents know what each member of the family is learning by providing the theme, Scripture text, and a take-away for each age level each week. -Devotional Study Guides are available for children, youth and ADULTS to use in the home to reinforce the Kingdom Builder experience and keep your family together throughout the week by daily studying the same Bible theme at the same time. These full-color, interactive guides help readers integrate God’s truth, the Christian faith, and everyday life, in a format that’s geared to their age to apply God’s Word and grow as Christ followers. It is a resource designed to help the participants establish the habit of spending daily time with God in His Word. You can order these through your trainer for half-off this quarter only. THE JOURNEY… to discipleship through the Bible together will be a men’s and ladies group that will meet on the main level in the middle section of the worship center. Join us as we journey through both the Old and New Testaments applying the practical challenges of God’s word to becoming the disciples that Jesus has called us to be in everyday life. Come and hear more about where we will be going this quarter. This study will help to create a journey the whole family can travel together on throughout the week. The children and youth will be engaging the same theme in Bible passages in their Kingdom Builders groups, thus enabling the whole family to connect with God together and create discipleship moments. There is also an adult devotional guide available to help you connect with God and to the Kingdom Builders lesson for that week for both you and your family. THE BOOK OF JONAH … will be a men’s and young men’s group meeting in the upper level in room #1A. The primary trainer for this group will be Ron Schwab. NOTE: These groups will not be old-fashioned classes that stop short in the discipleship process with just learning information, but will press us to live out a transformation based on the word of God through the power of the Holy Spirit. Therefore, time will be spent on specifically applying the lesson to our lives and challenging one another to respond in a real way through a vital and growing relationship with Christ. DEEPER LIFE 2.0 will be open to Adults and Youth and will meet in the upper level room #4 with Pastor Tim as the primary trainer. How many of us have longed for the greater things that God wants to do in and through us? Have you longed for a greater growth through a greater power, fullness and direction that leads to a greater intimacy with God? Yet despite trying harder and harder, it seems we never truly experience the freedom to fully walk in the greater victory in Jesus. We can find ourselves “stuck” or limited by our past wounds, current behaviors and faulty thinking that hinder us from greater freedom, healing and life. We will explore together the key to experiencing the greater life of Christ is by breaking through to a deeper life in Christ. The hope of this intensive course touching on soul care issues is not just for you, but to equip you to help others journey deeper with Christ both one-on-one and in life groups. This will follow up on our last Holy Spirit Conference at a more in-depth level covering both this spring and summer sessions of Kingdom Builders. Our weekly sessions will be both video and discussion based as we listen to the teaching of Dr. Robert Reimer and Dr. Martin Sanders of Alliance Theological Seminary. Join us for a Holy Spirit led soul-searching that will help lead us to fully surrender to the reign of Jesus and be transformed by the power of the Holy Spirit. INTERCESSOR MINISTRY will meet on the main level in the right wingroom of the worship center. The Coordinator for this group will be Marsha English. Prayer is THE primary work of Building the Kingdom. Nothing real happens apart from prayer. This is not a class on prayer… this is a practical mountain-moving ministry that could at most be considered an equipping time for those who want to learn by doing prayer, along with more seasoned prayer warriors, as this time is led by the Holy Spirit. This is a place for those who believe in the power of prayer to boldly come before the throne of God together and see things happen. It is also a time for anyone with various needs to feel free to come on a particular Sunday and have the Intercessor Ministry pray for you right then and there expecting God to answer.